What’s happening in celeb beauty lately? Lots of great looks from Couture Week and the resort collection presentations in Paris, plus the usual movie premieres, launches and parties. Penélope Cruz at a 2018 Atelier Swarovski party. Close-up of Penélope Cruz at a 2018 Atelier Swarovski party. What I like: Penélope’s sprinkling of freckles—always such a great trick to make you look naturally sun-kissed! I also love the warm blush paired with the cooler rose lipstick; brown liner smudged out all the way around her eyes; and how her hair is flipped over to one side for volume. What I’d change: Nothing. Penélope Cruz at the Chanel Couture Fall 2018 show. 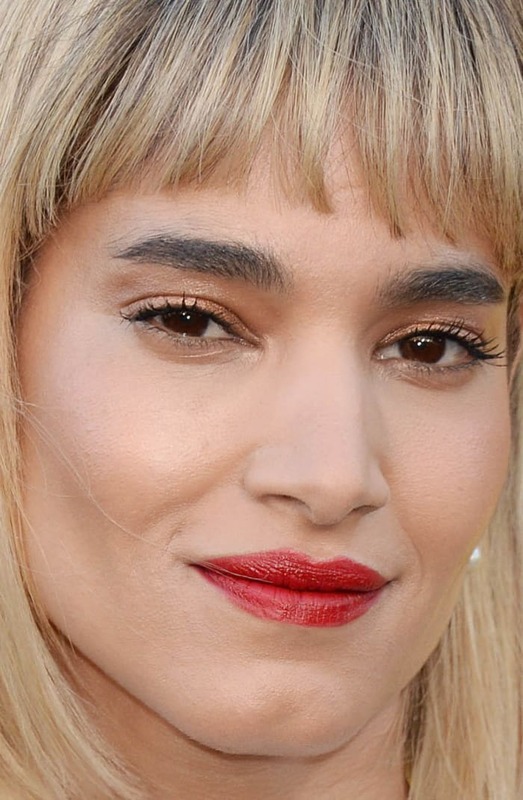 Close-up of Penélope Cruz at the 2018 Chanel Couture Fall 2018 show. What I like: This Penélope look is almost the same; she’s definitely found the makeup that works for her! The lips are still rose, but darker and matte, and her brows seem a bit bolder. (I’d like to point out that this is the correct way to use brow powder, so it creates a shadow effect.) The placement of freckles is different this time, so we know they’re not real! What I’d change: Nothing. Ellie Bamber at the Victoria and Albert Museum’s 2018 summer party. Close-up of Ellie Bamber at the Victoria and Albert Museum’s 2018 summer party. What I like: Ellie’s teal blue eyeshadow, which starts low at the inner corners and then extends out in sharp, graphic wings. Her lashes are perfectly defined, and I’m glad she left her brows untouched. Messy hair and cool (Chanel!) details complete the look. What I’d change: Nothing. Ellie Bamber at the Chanel Couture Fall 2018 show. Close-up of Ellie Bamber at the Chanel Couture Fall 2018 show. What I like: Ellie and Penélope BOTH got to wear Chanel outfits and little berets! There’s nothing not to like about this simple, pretty makeup and long, wavy hair. What I’d change: Nothing. Ana de Armas at the Miu Miu Cruise 2019 show. Close-up of Ana de Armas at the Miu Miu Cruise 2019 show. What I like: Ana’s bangs and cute updo (I think it’s probably braided at the back?). Also love her fresh skin, pink lipstick and the flash of purple liner just behind her lashes. What I’d change: Nothing. 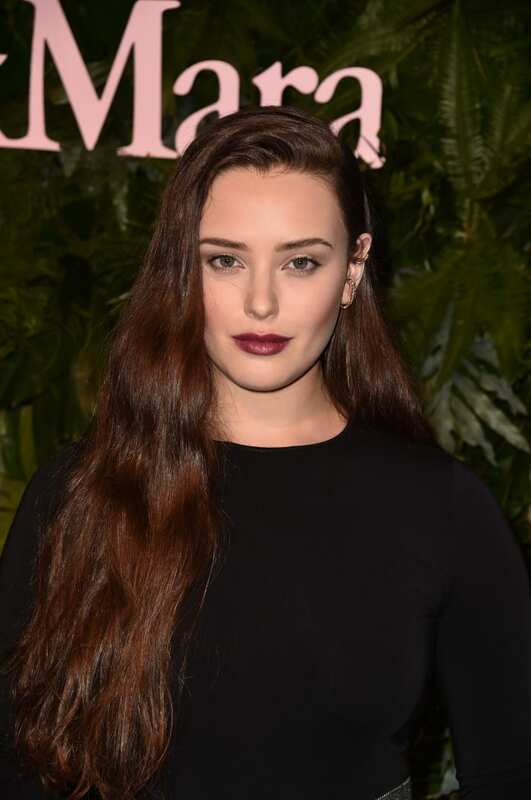 Katherine Langford at the 2018 Max Mara Face of the Future event. 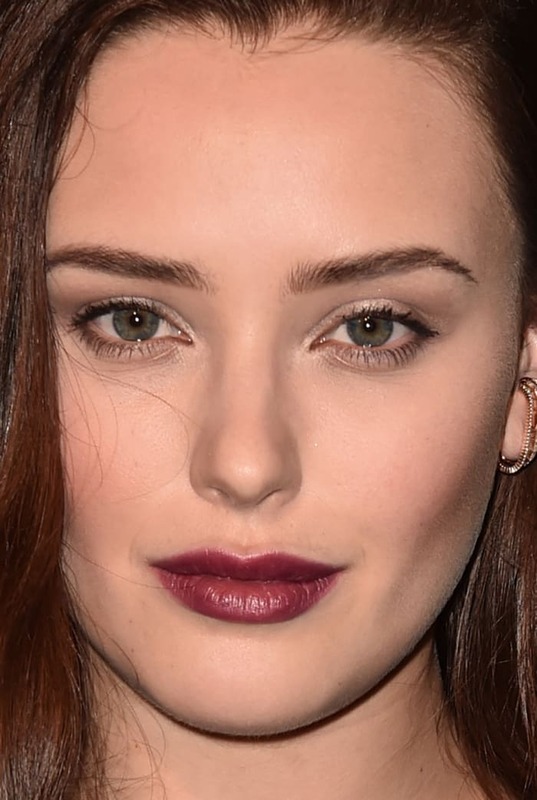 Close-up of Katherine Langford at the 2018 Max Mara Face of the Future event. What I like: Katherine’s bordeaux lips, super-long waves, neat feathered brows and clean eyes (although this feels more like a fall look than summer!). I especially love the lipstick texture, which is patted on. What I’d change: Just cleaning up those under-eye creases. It happens! Brie Larson at the 2018 Max Mara Face of the Future event. Close-up of Brie Larson at the 2018 Max Mara Face of the Future event. What I like: That glow on Brie’s cheek! (Also at the inner corners of her eyes, above her brow, and down her nose!) 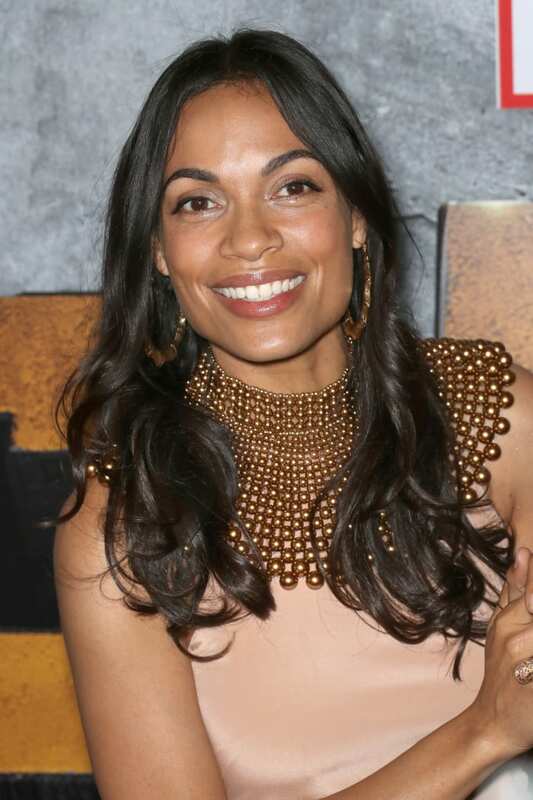 I think she might be doing the Penélope Cruz freckle thing as well. It’s super-fresh with coral pink lips and sheer blush, which match her dress exactly. What I’d change: Her lashes are clumping together. Marie-Ange Casta at the Bonpoint Fall 2018 show. Close-up of Marie-Ange Casta at the Bonpoint Fall 2018 show. What I like: Marie-Ange’s textured hair, fun headband and creamy pink lipstick. (And let’s face it, she is just SO beautiful!) I find the lack of eye makeup—just mascara on the top lashes and what looks like a barely-there taupe shadow—refreshing. What I’d change: Nothing. Lily Collins at the Miu Miu Cruise 2019 show. Close-up of Lily Collins at the 20Miu Miu Cruise 2019 show. What I like: Lily’s shimmery mint eyeshadow and ’70s-inspired waves, brushed out and pinned to one side. She’s a Miu Miu ad come to life! What I’d change: I wish her skin finish wasn’t so very powdery, and I’m not crazy about white eyeliner. What I like: Selena’s summery updo, flushed cheeks and pop of pink lipstick. I also like the soft texture of her lashes and hint of shine at the inner corners. What I’d change: Her lipstick has a hard, unblended edge to it. 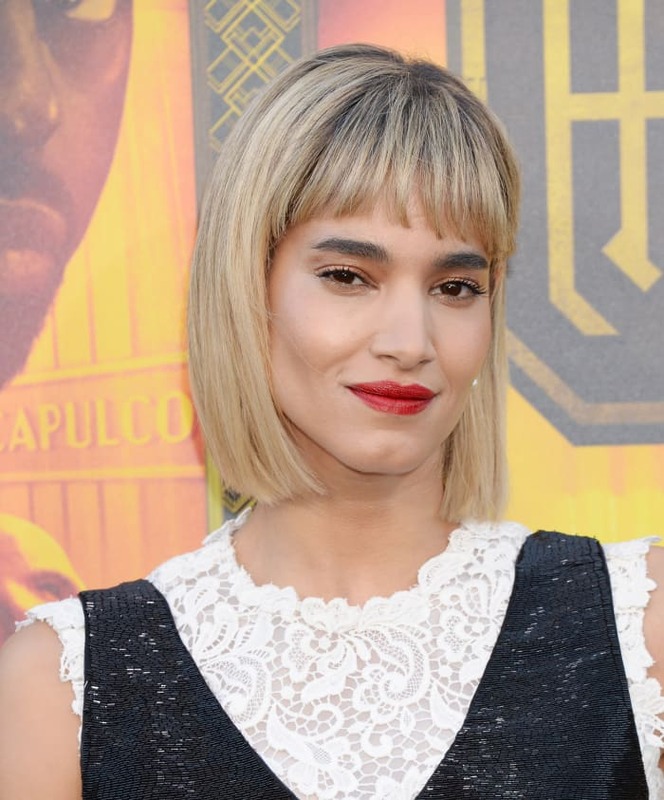 What I like: Sofia’s red lips, bold brows and blonde bob with short bangs. Normally I don’t love roots, nor such a drastic difference in hair tones, but it looks so good and edgy on her! I’m also a fan of the metallic copper eyeshadow. What I’d change: Her concealer is just starting to crease (not a big deal). 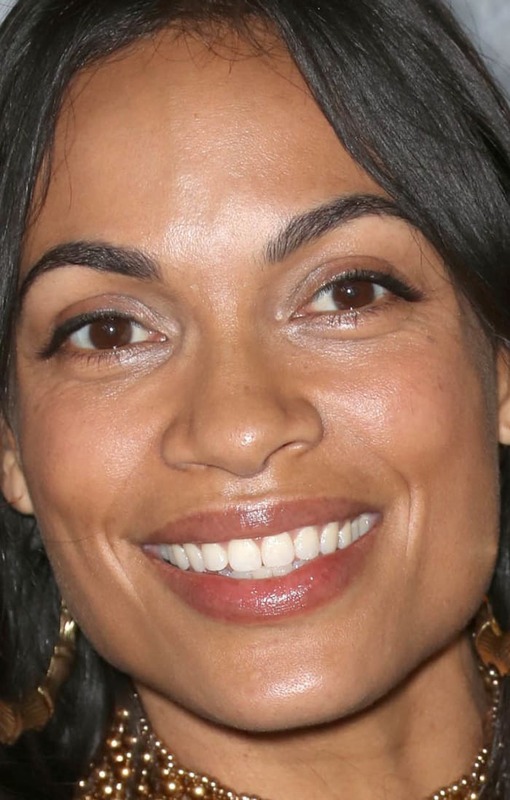 What I like: Rosario’s radiant, natural skin! I also like her natural, glossy lips and long, tousled waves (that undercut is all grown out now). The black liner along her upper lash lines gives her a little pop. What I’d change: I feel like a lash curler would make such a difference here. What I like: AnnaSophia’s jet-black lashes, textured brows and matte pink lips on a canvas of beautiful, bare, even-toned skin (at least it appears to be bare!). What I’d change: Nothing. What I like: Amy’s smile, first of all, but also her matte pink lips and pretty hair. She almost always wears metallic eyeshadow tones, here a copper and a gold, along with brown smudged into the lash lines. What I’d change: It’s not bad, but the brow pencil used to fill in her tails doesn’t quite match (it’s a fraction too red, even for her). Anya Taylor-Joy at the Armani Privé Couture Fall 2018 show. 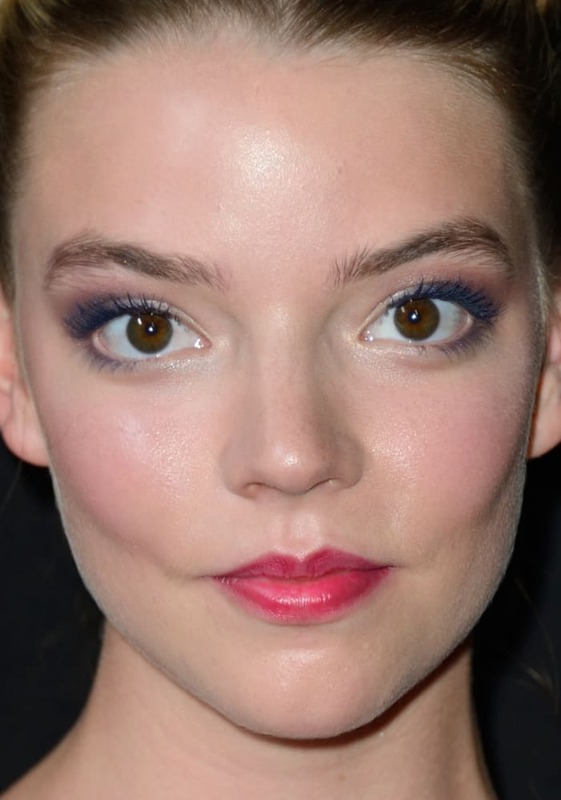 Close-up of Anya Taylor-Joy at the 2018 Armani Privé Couture Fall 2018 show. What I like: Anya’s purple lashes, pinky-red lip stain and space buns. Not a look you see every day, but I think she rocks it! It helps that she has amazing skin and wide-spaced eyes. She has a makeup artist’s dream face to play with! What I’d change: Nothing. What I like: Lucy’s newly blonde hair and slight volume at the front of her ponytail (a really good style for pear-shaped faces!). I also like the barely-there strawberry red lipstick and cheek stain. What I’d change: Okay, the blonde is fun for a change, but I do hope she goes back to this gorgeousness! 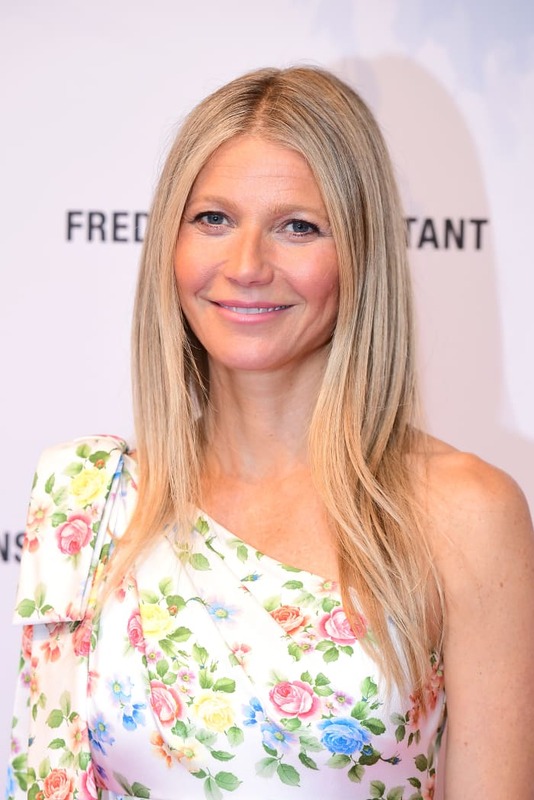 Gywneth Paltrow at a 2018 Frédérique Constant launch. 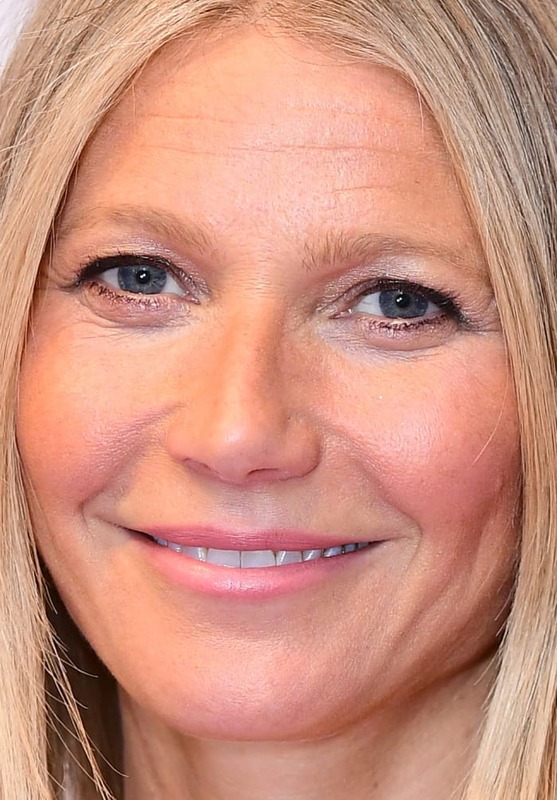 Close-up of Gywneth Paltrow at a 2018 Frédérique Constant launch. What I like: Gwyneth’s long, straight hair with face-framing layers. I really like that she’s not bleaching it as light these days! Nor is she Botoxing the heck out of her face, which I always appreciate. The pink lipstick and shimmery shadow are pretty. What I’d change: Brow gel! I think she bleaches them out, but just defining and holding up the hairs more would look good. Which celeb had your favourite beauty look lately?